Today it’s my pleasure to introduce you to Terri L. Austin! I met Terri at my local RWA writing group a little over a year ago. I was so excited when I heard she’d sold her debut novel, Diners, Dives and Dead Ends, to Henrey Press. Terri, congrats on your release yesterday and thanks so much for stopping by my blog! Thanks for having me on your blog, Denise. And hello to all your readers! Terri, I remember when you told me that you had a mystery with a main character names Rose. It’s not a common name so I loved the coincidence that my rom com mystery had a Rose. However, I think the similarities with our Rose’s end with the names and perhaps their ages. (My Rose is 24) Can you tell us about your Rose? You’re right, Rose is an uncommon name, but such a pretty one, I think. And my Rose is 24 as well! When Rose Strickland kissed her overbearing parents and their wealth goodbye, she didn’t think gaining her independence would be easy. But now as a struggling waitress and part-time student, Rose’s life is stalled in the slow lane. Until her friend, Axton, goes missing. Then she’s thrown into a world of hot bad guys, illegal gambling, and shady corporations. Give me a high concept pitch for Diner’s, Dives and Dead Ends. I would say Diners is One for the Money meets Veronica Mars: The adult years. How did the idea for Diners, Dives and Dead Ends come to you? I wanted to write the kind of book I like to read. I like humor, mystery, and zany characters. Rose has a quirky cast of friends that help her find Axton. I’d want a friend like Rose in my corner. She was a lot of fun to write about. There’s a tender scene with Rose and her best friend that touched me. It has some humor, it has some heart. I got a little choked up writing that scene. Is there anything in your book based on real life experiences? Rose can’t decide what she wants to do with her life. I can relate! In college, I sort of floated around and found it hard to settle on one subject. When is your best time to write? Are you a slow and steady, writing 1000 words a day or a sudden burst writer, writing 30,000 works in two weeks? I start in the morning and go until I reach my quota for the day. I usually write between 3000-5000 words a day when I’m working on a first draft. I shoot for 3000 and anything over is gravy. I was a crazy reader as a kid. Laura Ingalls Wilder was my favorite and I read her books over and over. And I thought being a pioneer girl would be the best, until I figured out they didn’t have electricity or running water. Probably Chess. I’m not a good player and I tend to be impatient, but there’s something sort of calming about watching the board and trying to plot out several moves in advance. Terri L. Austin lives in Missouri with her funny, handsome husband and a high maintenance peekapoo. 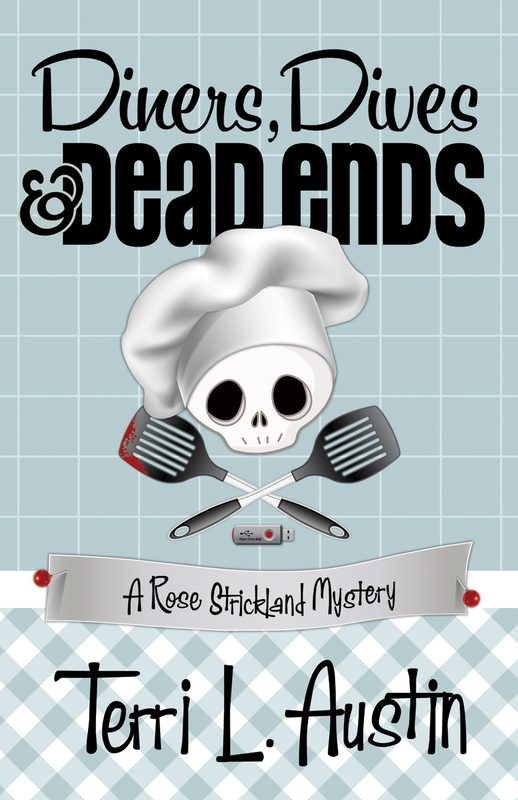 She’s the author of Diners, Dives and Dead Ends—a Rose Strickland Mystery. 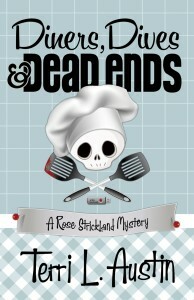 You can get a copy of Diners, Dives and Dead Ends at Amazon or Barnes&Noble . 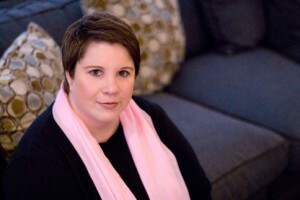 You can find Terri L. Austin at TerriLAustin.com, Facebook, Twitter or GoodReads. *Leave a comment with your email, and at the end of my blog tour on August 30th, I’ll enter your name to win one of three copies of my book. Continental US only. Chess and plotting all those moves . . . good choice for a mystery writer! For me, I think I’d go with Life. There’s something temporarily satisfying as you drive down the road. Degree, check. Job, check. Husband, check. Kids, check. Career change, check. Retirement, ahh. But there’s only so much Life you can take. Maybe chess is a better idea! I have Diners, Dives and Dead Ends loaded on my Kindle right now and I am looking forward to reading it. I’ll see if this Rose by this same name is just as sweet… as yours. Thanks for sharing about another author! Terri, Great blog. I prefer Life like Anise. Monopoly and Chess take too long. LOL But I am a bit of a Solitaire gal. I can’t wait to pick up your book! hmmm if you like the slow plotting of chess does that mean you are a plotter, not a pantser?? Hi Terri and Denise! Great interview! Terri, I can see the One for the Money similarity. Humor, mystery, and zany characters are three of my favorite things. As you know, I cheated and scored an ARC of Diners, Dives & Deadends. I loved this book! I can’t wait to read more Rose Strickland! Love Stephanie Plum meets Veronica Mars. Big jump to Laura Ingalls Wilder, though! Am super impressed that you play chess. I’m more of a Twister, gal! DD&D is an awesome book. Can’t wait to hold a real copy in my hands & hopefully get it signed by the author! It is a big jump from Laura Ingalls Wilder. But once I found Freaky Friday, I knew my dreams as a future pioneer woman were over. I’d found humor and quirk and there was no turning back! Another interesting interview. Chess is a favorite. Perhaps I will be a lucky winner of an autographed copy of your book to read and then donate to local library for others to become acquainted with your work.